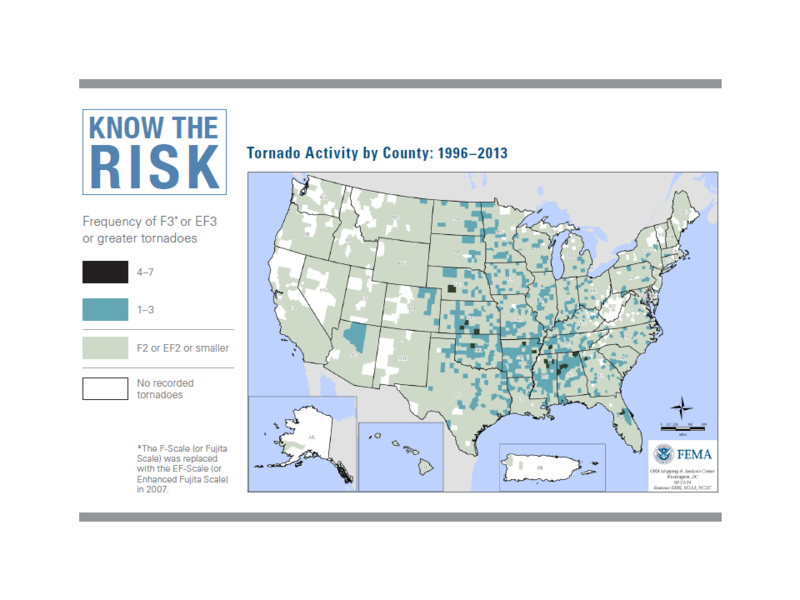 Tornadoes are one of the six most common hazards. 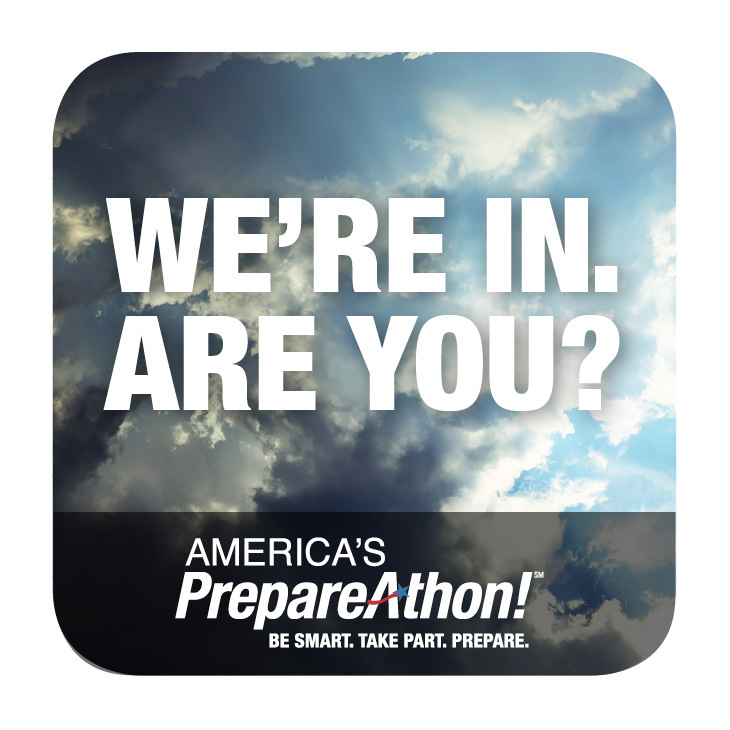 Other common hazards include earthquakes, floods, hurricanes, wildfires, and winter storms. Although they can occur at any time of the year, tornadoes most often occur during the spring and summer. They are most likely to hit between 3 p.m. and 9 p.m. but they can — and do — occur at all hours of they day and night. As shown below, three Kansas counties experienced 4-7 F3 or EF3 or greater tornadoes between 1996 and 2013. Many others experienced 1 – 3. Click on the graphic below to learn how to prepare for a tornado.